These features are now Generally Available, and so the content of this post is outdated. Check out our Profiler documentation and Application Map documentation for the latest information. Improvements to the Application Map that allows you to see health status of multiple components, pin-point issues, and easily find exceptions. 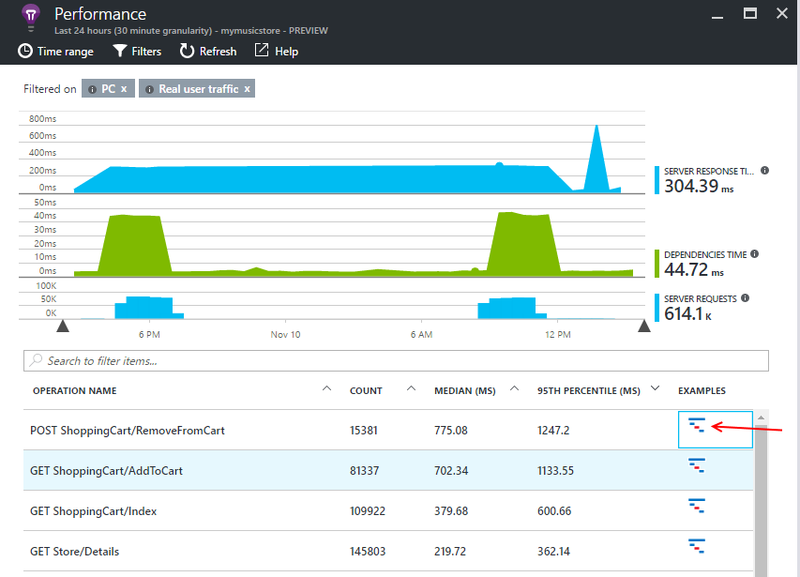 The new Application Insights Profiler, which allows you to see detailed example traces of slow requests and drill into detailed analysis of code to see where you are spending the most time. The map reflects the incoming and outgoing calls for the currently selected component. Above we can see the web browser calling into the teamstandup-web component. The map also shows an error pane on the right-hand side, summarizing the errors that occurred in that component grouped by operation name (i.e. the URL) and the function in which the error occurred. That was a quick tour of how we’ve made it easy for you to spot issues and drill into top errors in your service. 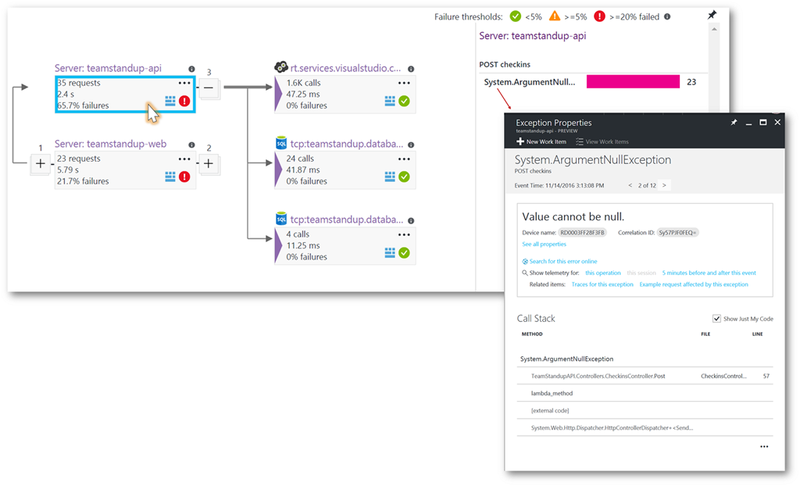 To try out these features and give us feedback, be sure to check out Application Insights Application Map Preview for instructions on updating your Application Insights SDK (required for the multi-component map) and enabling these features in the portal. When running in production there can be a number of unexpected causes of slow requests. In many cases if you have some requests which are fast most of the time but can occasionally experience slowdowns. 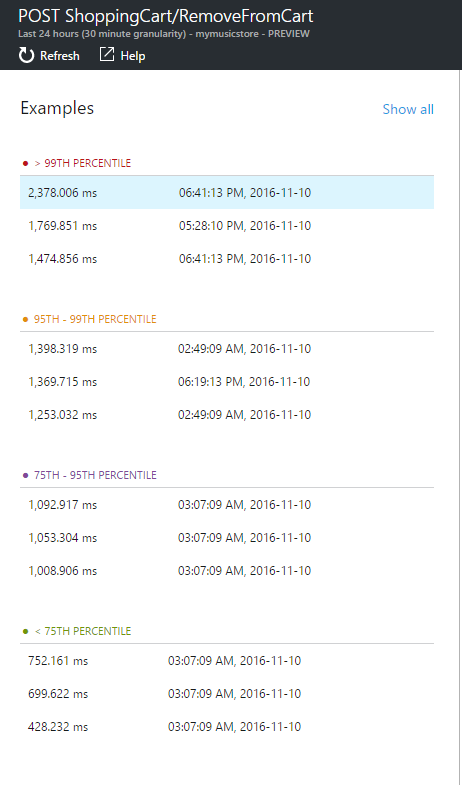 The new Application Insights Profiler runs with low overhead and will periodically enable profiling on your production service and collect detailed examples of performance traces for your application when something interesting happens. This means you’ll have examples of interesting issues with detailed profiles (code-level breakdown of request execution time) for a range of issues and you’ll have the details you need to pinpoint where time is spent. 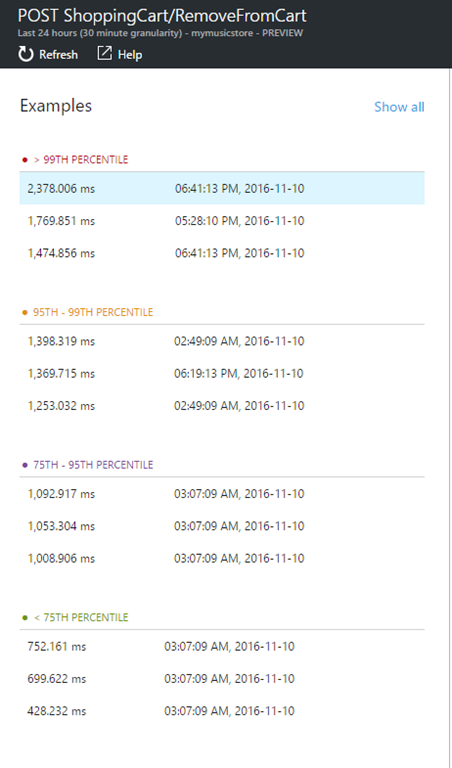 We believe the profiler will be useful for several scenarios, from identifying and triaging your slowest requests (even in the 95th percentile long-tail), to pinpointing what specifically is slowing down a request using a prerecorded example. 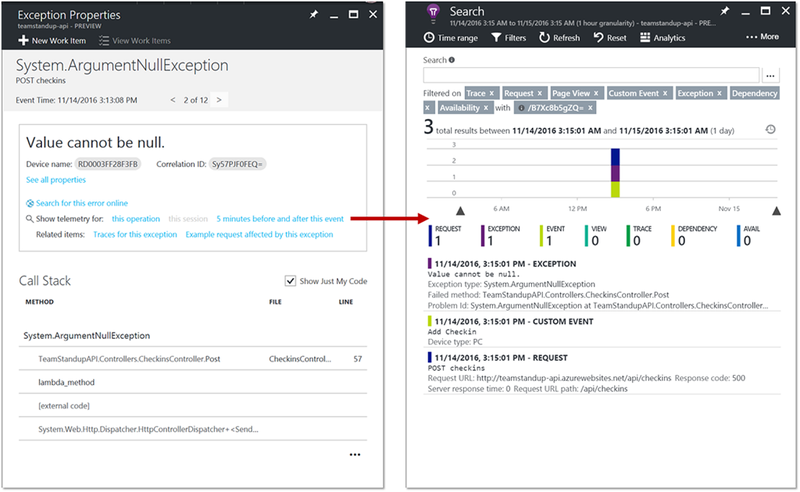 If you have a service running in Azure App Service and want to find out how to improve its performance, be sure to check out How to enable Application Insights Profiler for enabling the profiler on your account and sending us feedback. We’re excited to make early previews of these new diagnostics features that help you to better diagnose and fix issues in your production applications. Let us know what you think by sending feedback from the Azure portal, or leaving comments here on this post!